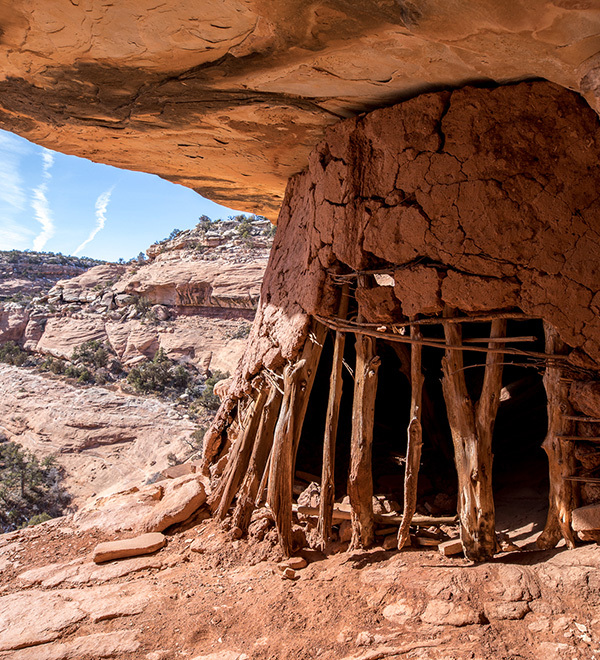 From cliff dwellings and rock art sites in Bears Ears, to slot canyons and dinosaur bones in Grand Staircase, national monuments on the Colorado Plateau protect an incredible heritage of landscapes, artifacts, and resources. Permanently safeguarding these treasures for the benefit of all should be a no-brainer, yet our national monuments have never been at greater risk. The Trump administration tried to get our lawsuit transferred from Washington D.C. to Salt Lake City, Utah, but a federal judge denied the request. 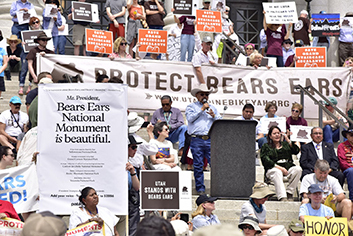 Additionally, the judge ordered the government to notify us within 48 hours of any proposed mining or ground-disturbing projects within the monuments’ original boundaries. We believe Trump’s actions were contrary to the law, but it will probably be years before the courts conclusively rule on that question. 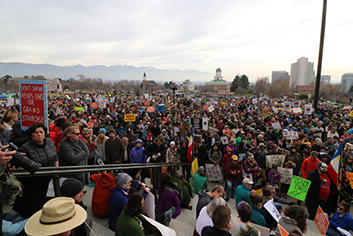 In the meantime, we’re building our case, preparing our arguments, and doing everything we can to protect the interests of national-monument-loving Americans like you. Stay tuned. When President Trump carved out swaths of Grand Staircase and Bears Ears, he rolled back hard-won protections and opened the doors for extractive industries to move in. Here’s what’s at risk. Trump’s proclamations give the secretary of the interior the authority to re-open roads previously closed to vehicles. 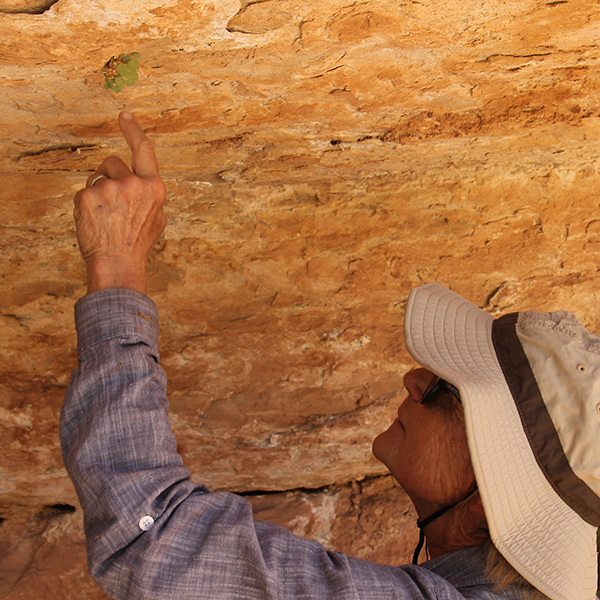 Shriveled boundaries mean less funding and fewer resources to monitor and protect archaeological sites from looting and vandalism. 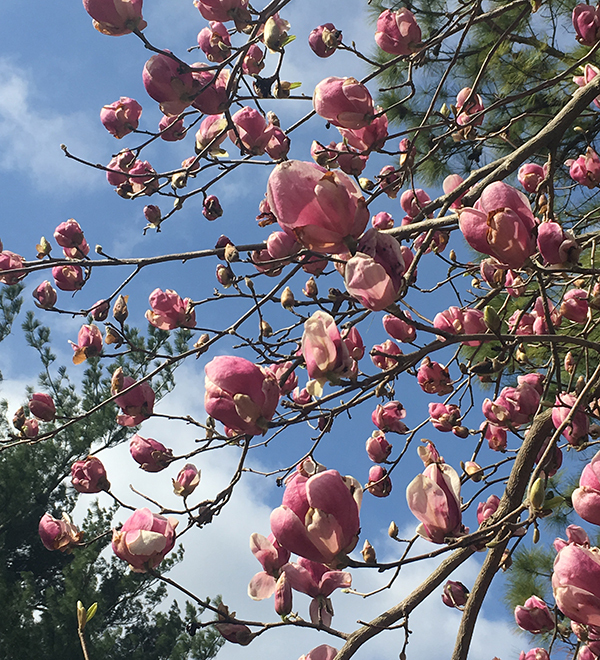 National monuments are yours to play in, pray in, and share in. They protect some of our country’s most amazing landscapes and cultural resources, and should be protected for the benefit of all, not exploited for the profit of few. President Trump orders review of 27 national monuments designated by Obama, Bush, and Clinton. National monuments have always been sore spots with some Utah politicians, with local opposition meeting the presidential protection of Zion, Bryce Canyon, Arches, and Capitol Reef, now among Utah’s treasured “Mighty Five” national parks. 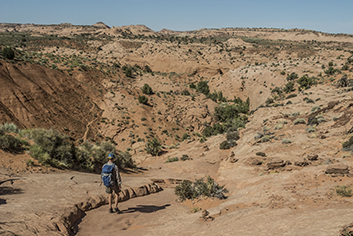 President Bill Clinton’s designation of Grand Staircase-Escalante National Monument in 1996 enflamed modern tensions between the federal government and those in Utah who want federal public lands turned over to state ownership. 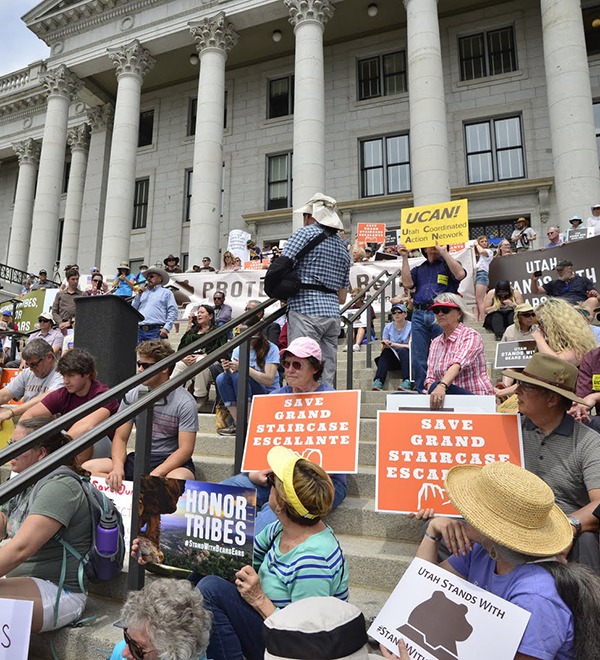 When President Obama declared Bears Ears National Monument in 2016 after legislative efforts in Congress failed to protect the area, a small group of Utah monument opponents began urging President Trump to rescind both Grand Staircase and Bears Ears national monuments. 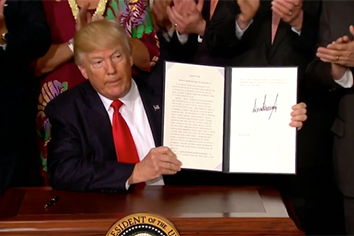 Within Trump’s first 100 days in office, he signed an executive order directing Interior Secretary Ryan Zinke to review all national monuments designated since 1996 larger than 100,000 acres, or “where the Secretary determines that the designation or expansion was made without adequate public outreach and coordination with relevant stakeholders.” Grand Staircase and Bears Ears bookended the hit list. 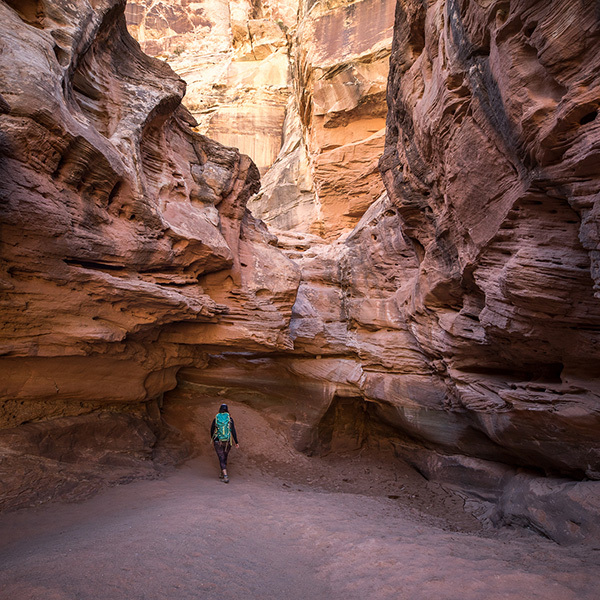 The executive order targeted a total of 27 national monuments, with six of them — Grand Staircase, Vermilion Cliffs, Grand Canyon-Parashant, Canyons of the Ancients, Bears Ears, and Gold Butte — on the Colorado Plateau. A public comment period accompanied the review, with Bears Ears singled out and placed on an expedited timeline. Zinke was directed to issue recommendations on Bears Ears in just 45 days, and the other 26 monuments in 120 days. Secretary of the Interior Ryan Zinke recommends shrinking Bears Ears in 45-day interim-report. Secretary Zinke was given 45 days to make a recommendation on Bears Ears. During that time, he went on a four-day “listening tour” in southern Utah, led by Governor Herbert and Senator Hatch’s offices. Zinke spent nearly all his time with vocal monument opponents, meeting with monument backers for less than two hours during his trip. Meanwhile, pro-Bears Ears comments flooded into the Department of Interior. Zinke’s interim report cites 76,500 comments submitted by the public, but that number does not include hundreds of thousands of comments uploaded by groups like the Grand Canyon Trust that were counted as single comments. By our count, more than 685,000 people wrote comments in defense of Bears Ears by the expedited comment deadline. In total, 2.8 million public comments were submitted, with 99.2 percent favoring leaving national monuments alone. Despite the overwhelming public support for Bears Ears, Zinke recommended that it be reduced in size. In the interim report, Zinke reopened the public comment period on Bears Ears, deferring a final decision on the monument and folding it into the review process for the remaining 26 national monuments. Secretary Zinke delivers a secret final report to the White House, but releases only a cursory summary to the public. After months of anxiously awaiting news about the fate of 27 national monuments, Secretary Zinke publicly released only a one-and-a-half-page summary that listed no specifics, made no recommendations, and dismissed the voices of millions of people. While it acknowledged that “[c]omments received were overwhelmingly in favor of maintaining existing monuments[,]” the memo attempted to downplay the importance of that wave of public support by attributing those comments to a “well-orchestrated national campaign[. ]” Recommending boundary changes to unspecified monuments, it left monument-loving Americans bracing for the next piece of news. A leaked memo names several monuments on the chopping block and outlines other drastic changes. As it turned out, Secretary Zinke’s public page-and-a-half report summary was just smoke and mirrors. The real memo Zinke sent to President Trump remained hidden from the public eye for nearly a month. The leaked report calls for slashing four national monuments — including Bears Ears, Grand Staircase, and Gold Butte. Furthermore, Zinke recommends allowing the industrialization of these monuments and several others. In his secret memo, Zinke also proposed administrative alteration of The Antiquities Act of 1906 by possibly revising all national monument management plans to allow for mining, commercial logging, expanded livestock grazing, and oil and gas drilling. The Antiquities Act protects national monuments — and our collective heritage — from exactly these kinds of destructive uses. If acted upon, these recommendations would represent the single most damaging attack on our public lands in our nation’s history. We expect that President Trump to act on Zinke’s recommendations. If he does, we stand ready to defend Bears Ears and Grand Staircase in court. President Trump slashes Bears Ears and Grand Staircase by 85 and 46 percent, respectively. 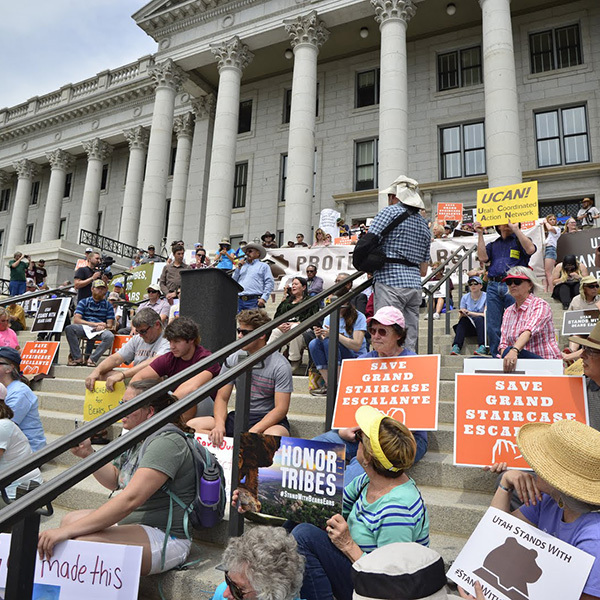 Sitting in Utah's state capitol, President Trump signed two proclamations eviscerating Bears Ears and Grand Staircase-Escalante national monuments. Trump's actions represent the most sweeping assault on protected public lands in American history. The new proclamations shrink the boundaries of Bears Ears and Grand Staircase by 85 and 46 percent, respectively, with countless cultural sites and geological wonders cast out of each. The Trust and others sue President Trump over his attempt to eviserate Grand Staircase. Hours after the president slashed Grand Staircase-Escalante National Monument, a group of conservation organizations, including the Trust, filed a lawsuit attacking Trump’s order. The Grand Canyon Trust, the Wilderness Society, the Sierra Club, Defenders of Wildlife, Great Old Broads for Wilderness, Center for Biological Diversity, WIldEarth Guardians, and Western Watersheds Project. 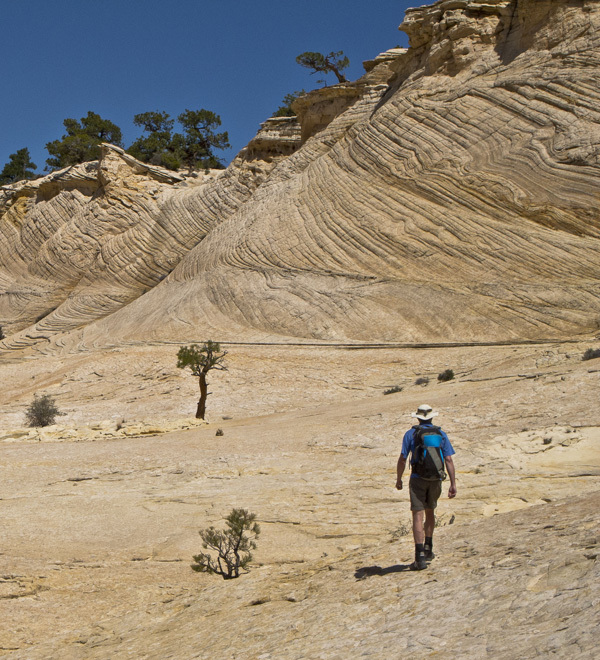 The Southern Utah Wilderness Alliance and Natural Resources Defense Council are co-plaintiffs in the lawsuit. Want to help? Consider making a gift to our National Monument Defense Fund. The Trust and others file a lawsuit attacking Trump’s new Bears Ears proclamation. Taking it to the courts. Again. Three days after President Trump hacked Bears Ears National Monument, the Trust and eight other conservation groups sued him. The suit charges that the president violated the 1906 Antiquities Act and the U.S. Constitution by slashing the monument. The Grand Canyon Trust, the Wilderness Society, the National Parks Conservation Association, the Sierra Club, Defenders of Wildlife, Great Old Broads for Wilderness, Western Watersheds Project, WildEarth Guardians, and the Center for Biological Diversity. 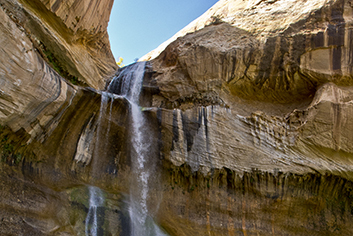 The Natural Resources Defense Council and Southern Utah Wilderness Alliance are co-plaintiffs in the case. Donate to our National Monument Defense Fund. 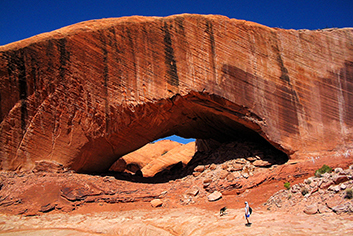 The Bureau of Land Management initiates scoping efforts for the reduced monuments. 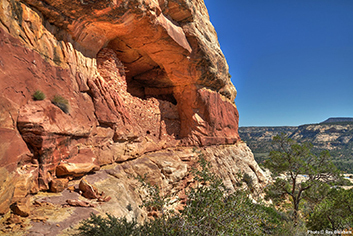 Despite lawsuits, the Bureau of Land Management (BLM) announced their intentions to create resource management plans for the hacked units of Bears Ears and Grand Staircase-Escalante national monuments. 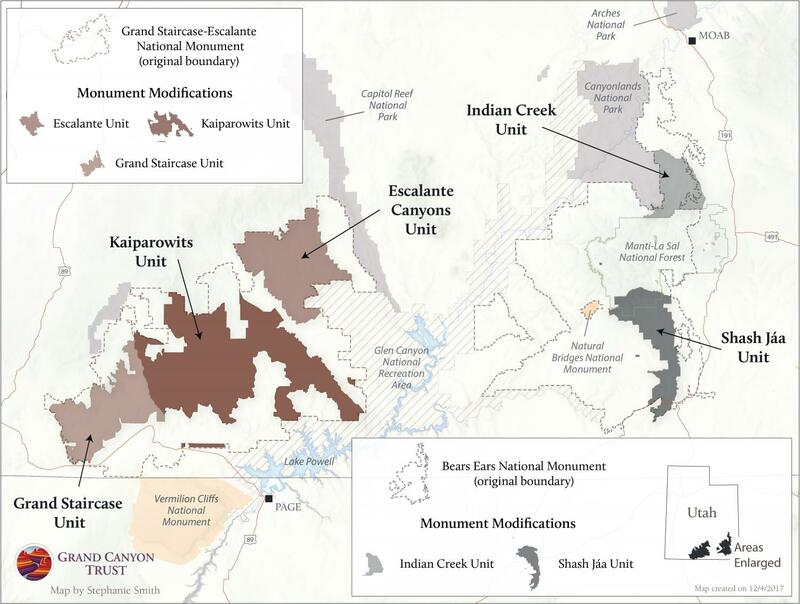 These include the Indian Creek and Shash Jaa units for Bears Ears; the Grand Staircase, Kaiparowits, and Escalante Canyon units for Grand Staircase-Escalante, as well as federal lands that the president axed from Grand Staircase. 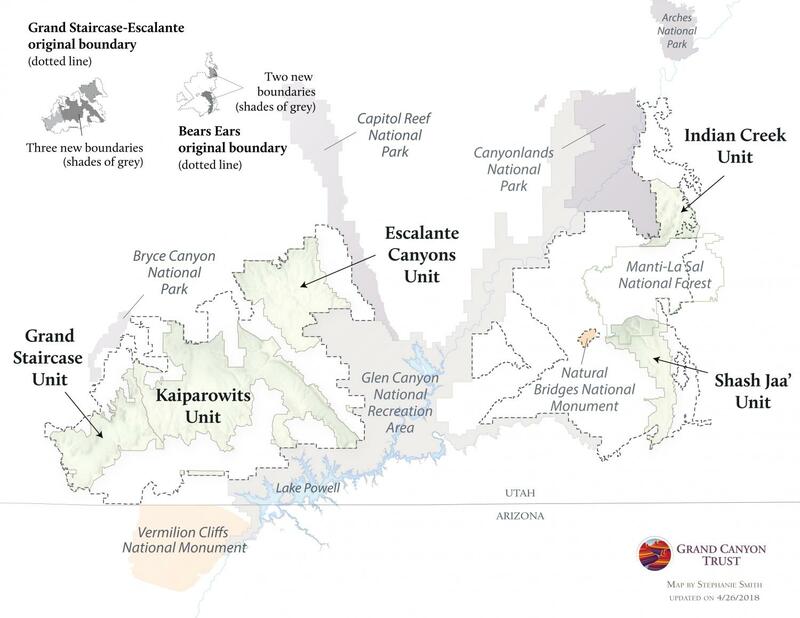 The new plans will replace the 1999 Grand Staircase Escalante National Monument Management Plan and portions of the 2008 Monticello Resource Management Plan. We believe the BLM should halt planning for these smaller units until the legitimacy of the Trump proclamations slashing the two monuments is fully settled by the courts. But, if planning does go ahead, the federal government needs to hear from monument supporters like you about the importance of protecting the natural and cultural resources. 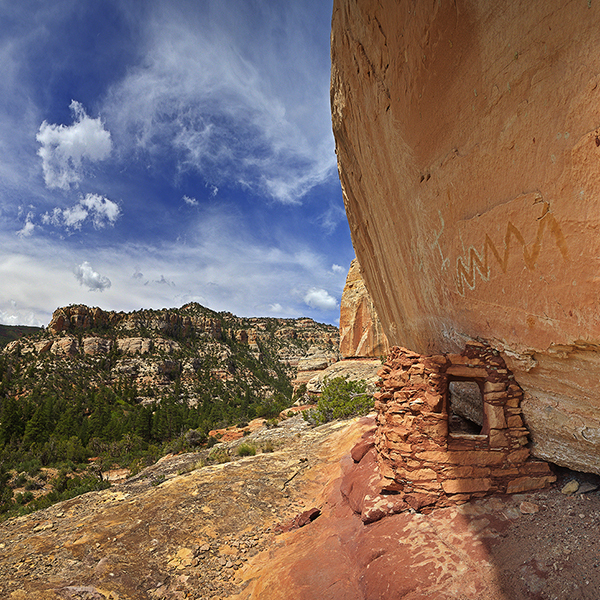 Can we count on you to stand up for our national monument and make your voice heard? National parks, national monuments, national forests, national preserves — confused? There is a lot of misinformation when it comes to national monument designations — who designates them, how do they vary from national parks, what protections do monument designations afford, and what restrictions do they impose? Accommodate land uses such as livestock grazing, fishing, hunting, recreation, and more. In 1906, President Theodore Roosevelt signed the Antiquities Act into law. 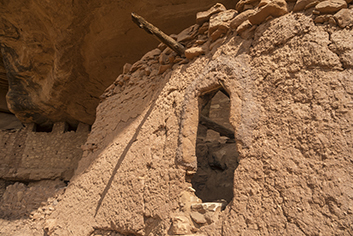 This law makes the destruction of archaeological sites on federal lands and the removal of artifacts from them punishable offenses. It also gives sitting presidents the authority to protect objects of historic or scientific interest by declaring them national monuments. National monuments are composed solely of federal lands. Monument designations do not take lands away from states or private individuals. 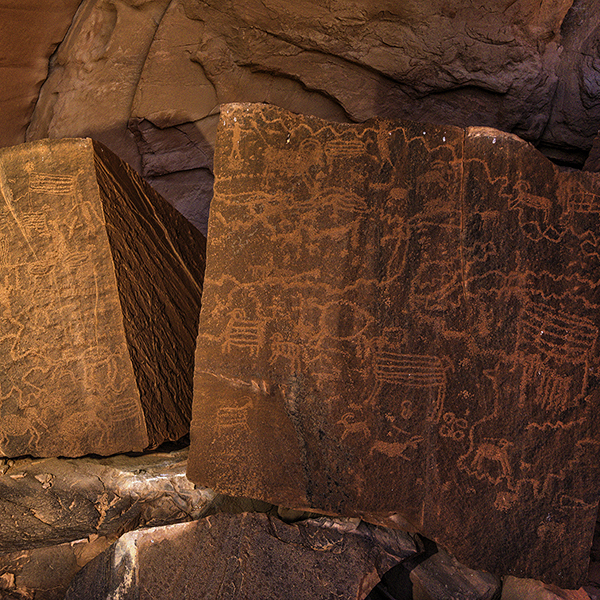 In the 100+ years of the Antiquities Act, nearly every president — Republican and Democrat — has used the Antiquities Act to create more than 125 national monuments protecting cliff dwellings, volcanoes, fossils, coral reefs, and more. 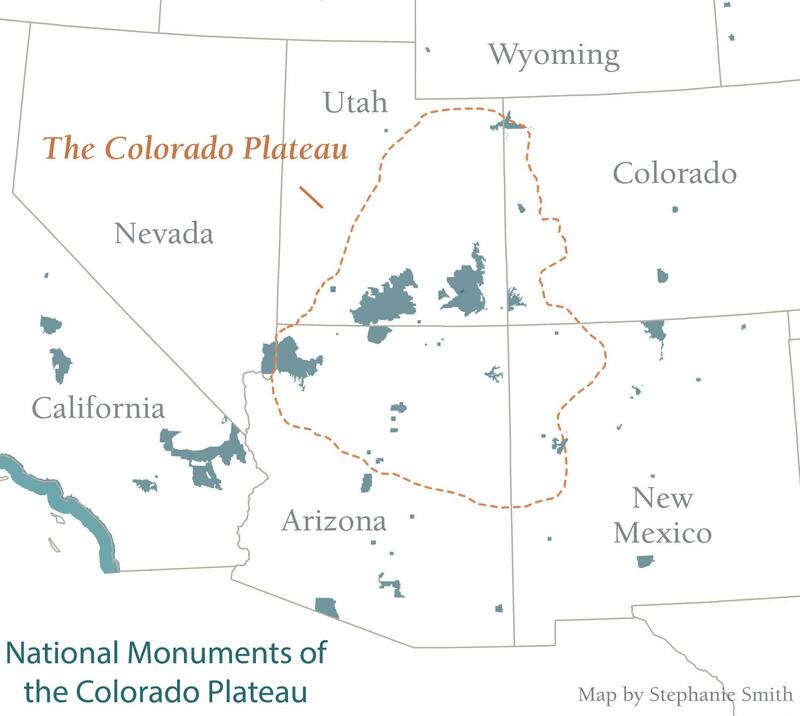 In fact, six of the eight national parks on the Colorado Plateau started as national monuments, including the famed Grand Canyon, Zion, Bryce, Capital Reef, Arches, and Petrified Forest, before Congress granted them park status. The Antiquities Act gives presidents the authority to designate national monuments, not un-do them. We’re taking Trump to court to make sure his illegal actions don’t set a precedent that could unravel our country’s national monument legacy.